Taking Responsibility for the Future. Welcome to SCHOTT. 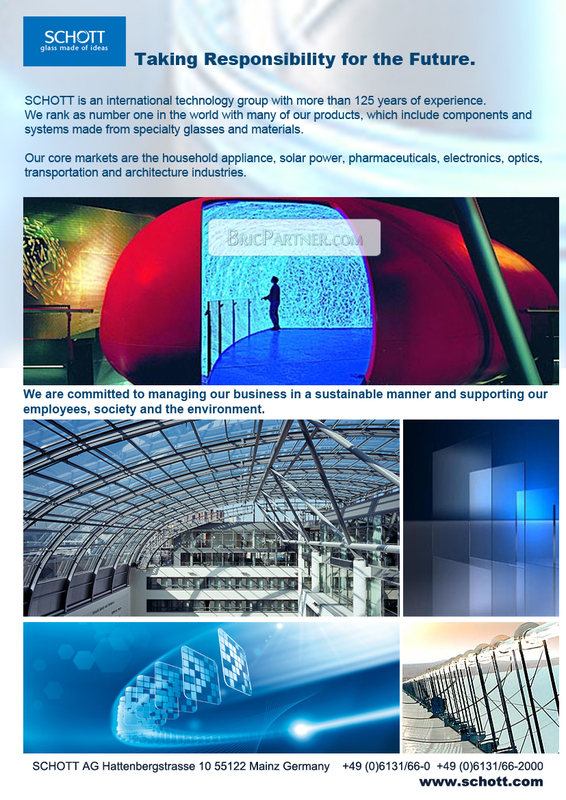 We are an international technology group with more than 125 years of experience in the areas of specialty glasses and materials and advanced technologies. By providing innovative products and ideas as well as outstanding expertise in technology, we make SCHOTT part of everyone’s life. Our core markets are the household appliance, solar power, pharmaceuticals, electronics, optics, transportation and architecture industries. We are committed to managing our business in a sustainable manner and supporting our employees, society and the environment.